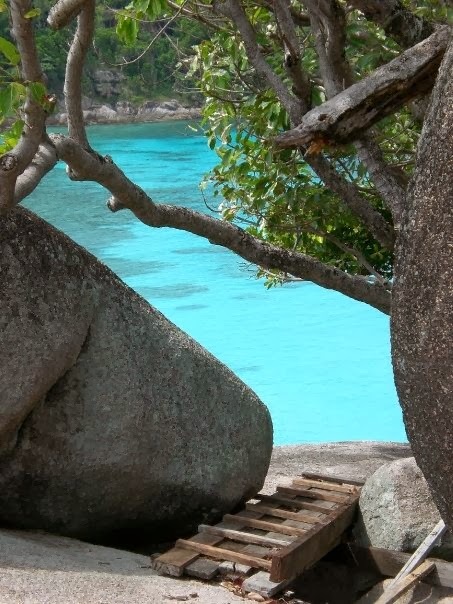 Antonia and I went to the Similan Islands and it was amazing! 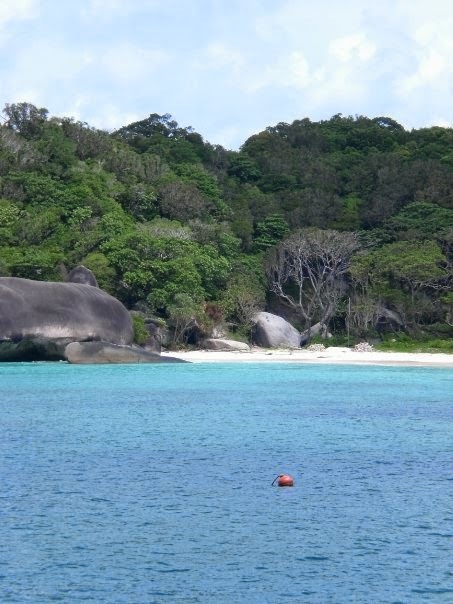 The Similans are off the coast of Khao Lak about an hour. We were able to book a tour (that included lunch) the day before from the same place we got a pedicure. Good deal. The beaches were white, the sand felt like butter between our toes and the water was crystal blue. 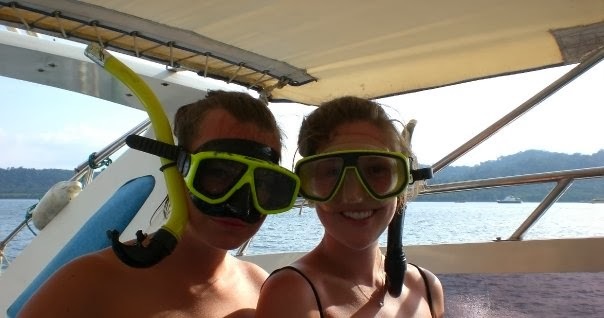 We went snorkeling a number of times that day and the last time I swam with a sea turtle! It just cruised right by me when I was snorkeling and I instantly started following it. Those supposedly slow reptiles are very quick swimmers. I was thankful when it came up for air so I could take a little break.